Offshore Industries Sdn. Bhd. (OISB) is incorporated in Malaysia in 1976, set up to engage in business related to the oil & gas and petrochemical industries in keeping with Malaysia's aspiration in the context of the Malaysia Plan and in line with the National Economic Policy. Since its formation, the company has established itself and grow as a reputable vendor. We are involved in a range of activities which can function as separate services or integrated in individual projects. Throughout our business engagement, we have a very good record of material supply and contract work with companies such as the PETRONAS group of companies, Sarawak Shell Berhad group of companies, Exxonmobil, Murphy Oil and etc. We also boasts good business relationship with major contractors and fabricators. To excel as a world-class company providing value added products, services and solutions through continuous innovation and development regionally. To be recognized and established as a reputable vendor for the Oil & Gas and petrochemical industries regionally. To actively participate in the National Economic Development specifically in the Engineering and Manufacturing sectors. To participate in regional and international projects particularly to fulfill the requirements of the oil & gas (upstream and downstream) industry. To provide quality and cost effective products and services to continuously and consistently meet the growing market demands. To develop loyal, highly motivated and technically skilled locals who in turn will be able to apply their skills for rewarding and satisfying career. To offer local products meeting the highest international recognized standard complete with total package solutions to the industry so as to ensure customers satisfaction. 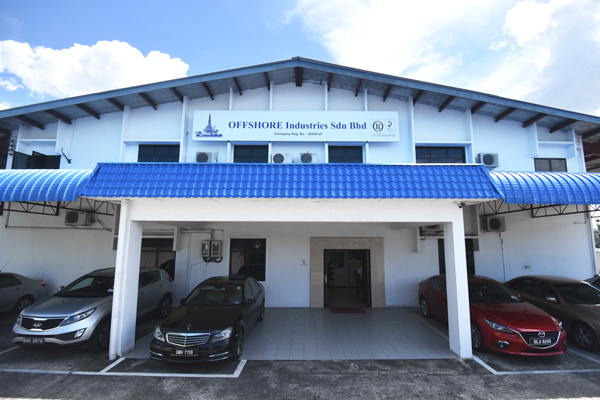 Offshore Industries Sdn Bhd shall ensure the product supplied to customers is safe, reliable and competitively priced and meet the requirement specified by customer. 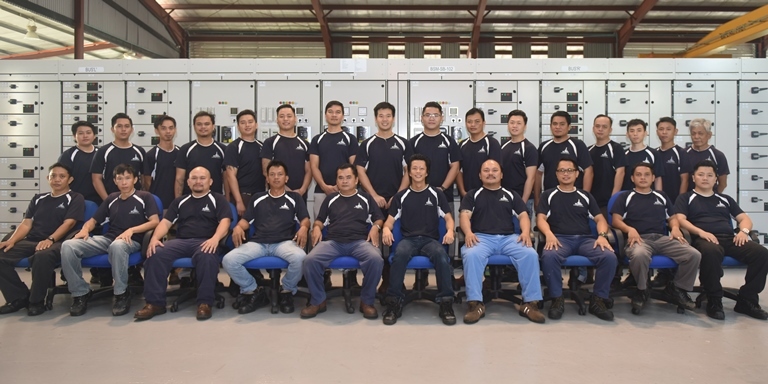 In pursuant to the Government's encouragement and ensuring the smooth operations, OISB has developed, implemented and has been successfully certified to be in compliance to the ISO 9001:2015 Quality Management System for design, manufacturing and provision of trading and maintenance services of LV switchboards and distribution boards for the oil & gas industries and other industries. Manufacturing and provision of trading and maintenance services for electrical lighting fittings for the oil & gas industries and other industries. The secondment of qualified engineers to work within client's own management teams. Contracts are arranged to satisfy client needs and can range from short-term hire through to long term secondment for one individual person or a team of multi-disciplined specialist. "Our team of Engineers and well-trained Technicians are prepared to deliver quality products and services to our valued Clients"
The Installation / Construction division provides a vital link in OISB's ability to provide an integrated service to the petrochemical and allied process industries. The division works in close liaison with the engineering department or directly with the client as required by the contract. The division has to acquire substantial expertise in the installation of all types of mechanical works, instrumentation, process control and electrical systems from single loops to highly complex integrated circuitry with computer control. Particularly high standard of works is ensured by the employment of highly experienced project engineers, site engineers and key tradesman that from the nucleus of each site team. Contract work programmes and progress-monitoring systems are used on all contracts ensuring proper supervision.